This event is sanctioned by Ontario Ultimate, the regulatory body for Ultimate in the province, as a part of Ultimate Canada‘s Canadian 4-on-4 Ultimate Championship (C4UC). 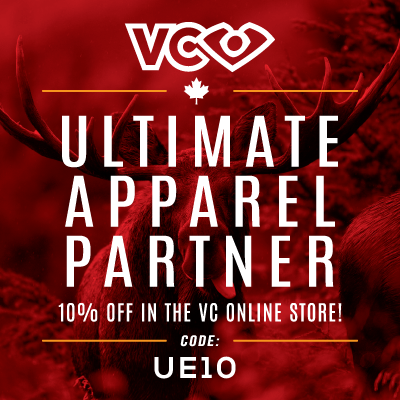 They work hard to ensure the promotion and growth of Ultimate throughout Ontario and act as liaisons and representatives to multi-sport and government agencies on behalf of the leagues and players in the province. This event is the Ontario regional qualifier for the national series. The National Canadian 4v4 Ultimate Championship will be held in Ottawa on March 18th & 19th, 2017! Looking for more Toronto 4v4 Tournaments? See 4v4 Winter Warm-Up, held on February 4th at Lamport Stadium. This is the 3rd annual incarnation of this event. The event started in 2015 in Montreal. 2016 was held in Ottawa, where it will return to this year. Ontario’s Trillium Carnage has won the event both previous years. Due to popular demand we have met our current capacity with 16 registered teams for this year’s OU4C tournament taking place in Toronto on February 18th and 19th. We are however seeking another facility to possibly accommodate additional teams. If you are interested in registering a team and be placed on a waiting list, please contact us by Friday, January 27th at 5PM. Best of luck to all teams playing in the OU4C tournament!